A proposal to allow Georgians to purchase alcohol at restaurants and wineries on Sunday mornings is headed to the governor's desk. House lawmakers voted 97-64 on Monday to allow on-premise consumption to begin at 11 a.m. on Sundays. If the bill is signed into law, earlier sales would have to be approved in local referendums. Gov. Nathan Deal's spokeswoman declined to say whether the governor intends to sign the measure. GOP Rep. Meagan Hanson of Brookhaven says earlier sales would generate an additional $11 million in state and local tax revenue. Kansas is one of the few states that prohibit self-service beer taps at bars and clubs, though a bill under consideration in the Legislature could finally allow patrons to be their own bartenders. Behind the bill is a trio of Topeka entrepreneurs who are aiming to open a new downtown bar, the Brew Bank, that would feature a wall of self-serve beer taps boasting the best offerings from local breweries. The Senate Federal and State Affairs Committee had a hearing on the bill Tuesday but didn't vote on it. "President Donald Trump’s planned 10% tariff on aluminum imports could hit America in its beer gut. Beverage makers, including Heineken, Molson Coors Brewing Co. and Coca-Cola Co., who use aluminum cans had warned Mr. Trump last month of increases in production costs if the tax were imposed. Some of those costs are likely to be passed on to consumers, according to analysts. The Beer Institute, a trade group, said Thursday the tariff would amount to a $347.7 million tax on brewers and result in the loss of tens of thousands of jobs. “Businesses don’t assume cost increases, they pass them on to consumers,” said Nico von Stackelberg, a consumer-goods analyst at Liberum. More than half of the beer produced annually in the U.S. is sold in aluminum containers and is traditionally marketed to cost-conscious consumers. Cans of Natural Ice, known as “Natty Ice,” are staples of cash-strapped college students and Bud Light has become a symbol of working class America, which is a key part of Mr. Trump’s political base. Cans are cheaper and easier to ship than bottles and they protect against ultraviolet rays, reducing the risk of beer going stale, or skunked. The tariffs could also hurt craft beer. Part of the reason artisanal brew is increasingly sold in cans, producers say, is that aluminum offers a good surface for colorful, effective branding..."
R Street's Trade Policy Counsel Clark Packard signed a letter along with other leading trade policy experts speaking out against the tariffs. Counties and home-rule municipalities currently can decide whether to allow restaurants and other licensed establishments to begin Sunday alcohol sales, but an alcohol administration official said the lack of uniformity across the state has created a "logistical nightmare." Thirteen counties, including Berkeley, Jefferson and Morgan counties, and 18 home-rule municipalities, including Martinsburg, Charles Town, Ranson and Shepherdstown, allow Sunday sales. Among other changes, the bill proposes allowing Sunday retail sales of liquor at a distillery or mini-distillery on Sundays at 10 a.m., a change area distillery owners wanted. 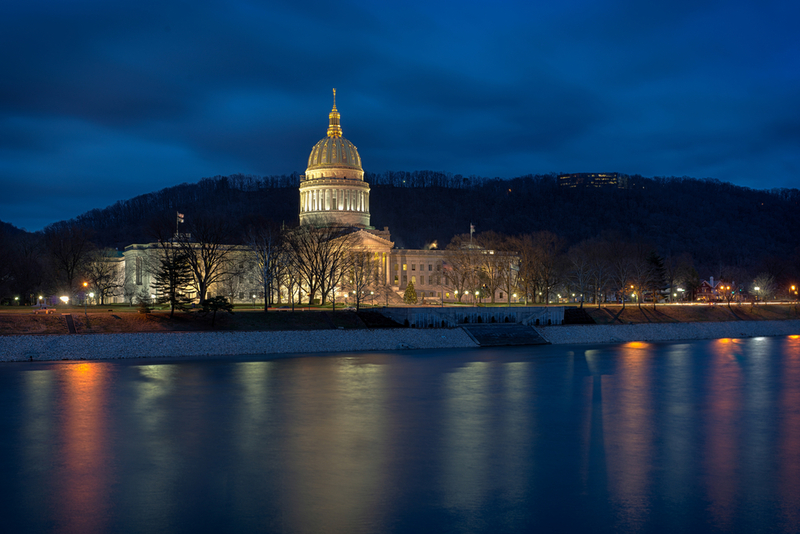 It appears that beer wholesalers and The Family Policy Council of West Virginia are both opposing this reform by ginning up scary hypothetical headlines such as: "Drunk Driver Kills a Bunch of Kids Coming Out of Church After Sunday School." Given that Sunday sales of beer and wine are already permissible in West Virginia, this line of argument is less than persuasive. In an age when a glass of a high-ABV craft beer can contain as much or more alcohol as a shot of liquor, it is irrational to draw arbitrary distinctions between different kinds of alcoholic beverages. The reality is that 40 states currently allow Sunday sales of hard spirits and more are following suit. Minnesota repealed its Sunday sales ban last year, and Indiana overturned its version of a blue law just this week. The trend here is toward more freedom, and West Virginians are right to not want to be left behind. "A bill raising the cap on how much packaged beer can be bought from Kentucky microbreweries is nearing final passage from the state legislature. The measure would allow customers to take home up to 31 gallons of beer — the equivalent of two kegs — from microbreweries. Currently the limit is two dozen 12-ounce beers, or a little over two gallons. The original version of the bill would have totally eliminated the cap for how much packaged beer microbreweries can sell on site — but was scaled back after pushback from distributors and retailers, who said brewers shouldn’t be allowed to “skip” the other tiers..."
"This Sunday, for the first time ever, Indiana's liquor stores will be open for business. Indiana becomes the 41st state to allow Sunday liquor sales, according to the Distilled Spirits Council. Consumers, of course, almost universally favor Sunday sales. Those with religious objections are mainly the ones who don't. Also unhappy about the change are liquor retailers in Illinois, Michigan, Ohio, and Kentucky who enjoyed a little extra business on Sundays from thirsty Hoosiers..."
Read Chuck's full post here. As Chuck notes, Indiana lawmakers weren't able to clear away all of the state's antiquated booze laws. The Hoosier State's infamous "warm beer law" still remains in place. In recent years, the Alabama Alcoholic Beverage Control Board has become notorious for trying to sneak through increased mark-ups on booze in the state. As R Street's Cameron Smith exposed last year, Alabama ABC attempted to institute a 5% increase in booze mark-ups to provide more funding for state district attorneys. Using liquor mark-ups in this way essentially turns the mark-ups into a stealth tax on state residents, and R Street has called out this behavior by state liquor regulators in the past (our policy report on the issue can be found here). 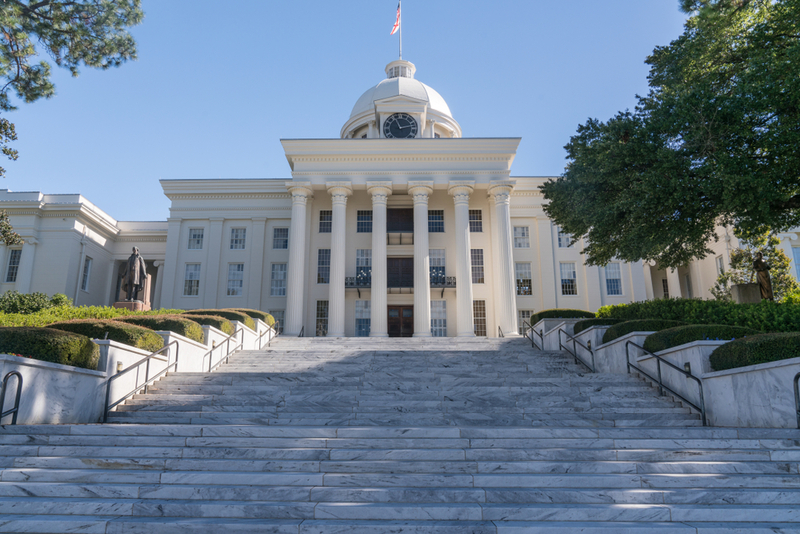 SB120 simply prevents future ABC markups without a bill enacted by the Alabama Legislature. It's not a complicated bill, but it absolutely restores accountability for revenue policy decisions to the people Alabamians actually elect. 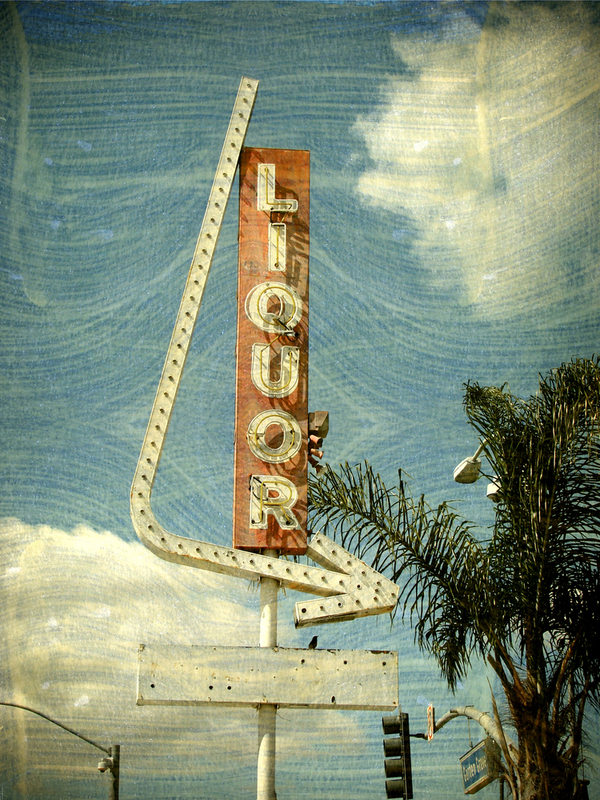 Alabama is in the minority of states retaining a 'control' model for liquor. Apparently the state's 'conservative' legislature would rather preserve a prohibition-era bureaucracy than fund the DAs properly, meet other spending needs or simply let Alabamians keep a little more of their hard-earned money. But this is an election year. Hope for any real changes to Alabama's liquor control system is little more than wishful thinking. Maybe the Alabama Legislature will at least take responsibility for the taxes we pay on alcohol..."